After sitting out the rough winter seas in the Southern Hemisphere, the Hydrospheric Solutions crew and the SLH ProSAS-60 sonar are back in action, continuing the search for the missing Malaysia Airline Flight 370. Once again this season, Hydrospheric Solutions has partnered with Phoenix International and the team is aboard the M/V Dong Hai Jiu 101. We welcomed a breather after nine months of 24/7 search operations during the 2014-15 season, during which time Hydrospheric surveyed over 14,000 square km at an average sea depth of 4400 meters. We return this season with high hopes to continue the efforts and results of last season. 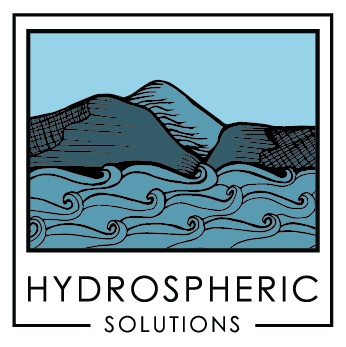 As Hydrospheric Solutions rejoins the search, we are bringing with us an upgrade to the SLH ProSAS-60 which was implemented during the downtime. With the addition of a new receive array that effectively increases Area Coverage Rates by 33%, we are expecting even better efficiency and results this season. The combined search abilities of SLH ProSAS-60 set it apart as the most advanced deep tow sonar available to the deep sea industry. The Hydrospheric Solutions team is honored to be able to contribute this technology along with our topnotch crew to the MH370 search efforts once again in 2016. Keep up to date with all of our happenings - near and far.